If (exactly) 1 face-up DARK Fiend-Type monster on the field, except this card, would be destroyed, you can remove from play 1 DARK Fiend-Type monster from your Graveyard, instead. When this card is de.. If you control at least 1 face-up monster and have no monsters in your Graveyard, you can Special Summon this card from your hand. When this card is Special Summoned this way, this card's Level become.. If this card is used as a Synchro Material Monster for a Synchro Monster, during battle between that Synchro Monster and a Defense Position monster whose DEF is lower than the ATK of that Synchro Mon..
You can Tribute this card to select 1 "Synchron" Tuner monster in your Graveyard. Special Summon that monster. It cannot be used as a Synchro Material Monster during the turn it is Special Summoned by..
You can send 1 Level 4 or lower monster from your hand to the Graveyard, Special Summon this card from your hand, and decrease this card's Level by the Level of that monster. If this card attacks or i.. If this card is sent to the Graveyard as a Synchro material Monster, inflict 2000 damage to the player that Synchro Summoned, and the Synchro Monster that used this card as a Synchro Material Monster ..
Once per turn, when a monster you control declares an attack targeting a Defense Position monster your opponent controls, you can activate this effect. If you do, during this battle, if the ATK of the.. When this card is destroyed by an opponent's attack or card effect or card effect and sent to the Graveyard, select 1 face-up Spell/Trap Card your opponent controls, and destroy it. If this card attac.. When your opponent Special Summons a monster(s), you can Special Summon this card from your hand. During the turn this card is Special Summoned by this effect, your opponent takes any effect damage yo..
Once per turn during your Main Phase 1, you can select 1 face-up Synchro Monster you control. Remove that face-up Synchro Monster you control from play and inflict 600 damage to your opponent. If you .. If a "Blackwing" monster you control battles an opponent's monster, and that opponent's monster is still on the field at the end of the Damage Step, you can send this card from your hand to the Gravey.. This card cannot be Normal Summoned or Set. This card cannot be Special Summoned except by removing from play 2 face-up monsters you control (1 "Blackwing" Tuner and 1 non-Tuner). Once per turn, you c.. This card cannot be Special Summoned. Any monster that battles with this card is not destroyed bt yhe battle, and returns to the hand after damage calculation. Once per turn, during your Main Phase 1,.. This card must attack if able. When this face-up Attack Position card is selected as an attack target, change it to Defense Position. When this card is destroyed by battle and sent to the Graveyard, y.. This card must attack if able. When this face-up Attack Position card is selected as an attack target, change it to a Defense Position. When this card is Normal Summoned, add 1 "Karakuri" card from yo.. This card must attack if able. When this face-up Attack Position card is selected as an attack target, change it to a Defense Position. When this card is Normal or Special Summoned, select 1 monster o.. This card must attack if able. When this face-up Attack Position card is selected as an attack target, change it to Defense Position. When this card is flipped face-up, select 1 face-up monster on the.. This card must attack if able. When this face-up Attack Position card is selected as an attack target, change it to Defense Position. 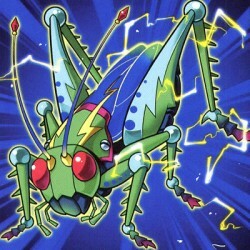 If another"Karakuri" monster on the field is destroyed, this card .. If this card cannot be used as a Synchro Material Monster, except for the Synchro Summon of a "Scrap" monster. If this face-up Defense Position card is selected as an attack target, destroy this card .. When a "Scrap" monster you control, except "Scrap Searcher", is destroyed and sent to the Graveyard while tgis card is in the Graveyard, you can Special Summon this card from your Graveyard. When this..